Waking up to rain tapping on the roof of the van, it wasn’t looking good for our 23km return hike to Tombstone Territorial Park’s Grizzly Lake. Our trip to the summit of Rake Mountain the day before had already drenched our clothing, boots and backpacks. But the Grizzly Lake trail was the hike we had been waiting for. I wanted to see those famed jagged peaks, alpine meadows filled with marmots and the namesake glittering lake at the end of it all. After conferring with the Interpretative Centre staff, we paid $12 for one night of camping at Grizzly Lake. We figured we’d start the hike and see if the weather cleared up. 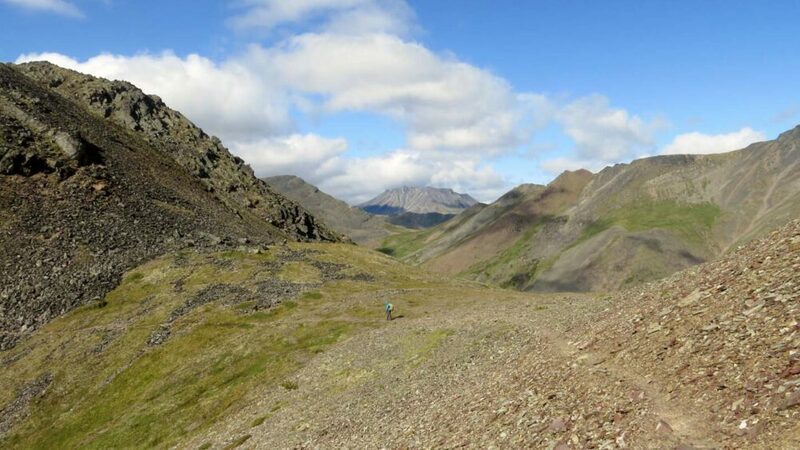 It turned out to be a very good decision, for Tombstone Territorial Park’s Grizzly Lake trail is one of the most impressive Yukon hiking experiences around! 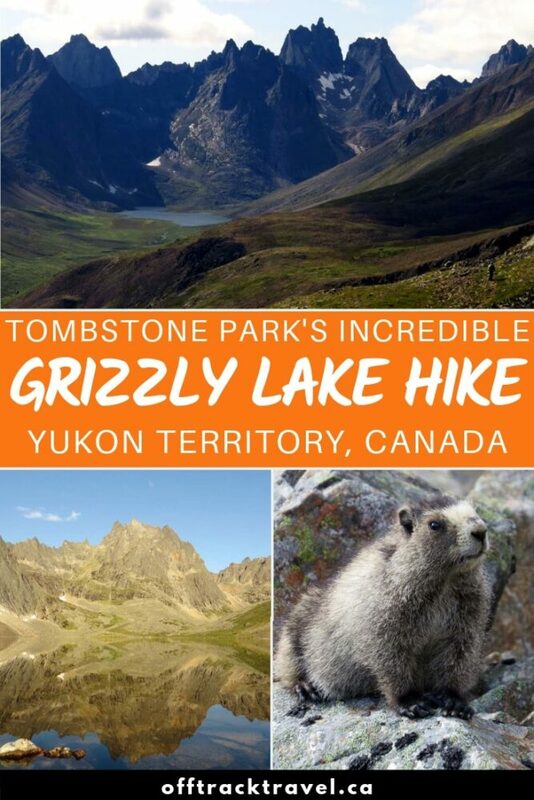 Read on for our experience or skip to the end for all the planning info you need to do the Grizzly Lake hike yourself. With a sliver of blue sky approaching in the distance, we started hiking at 2pm. Not the best time to start a ‘very difficult’ hike. As it turns out, this hike IS reasonably hard. The trail begins with a fairly gentle stroll through the forest and alongside a creek, followed by a lot of elevation gain within a reasonably short distance. The reason for this? 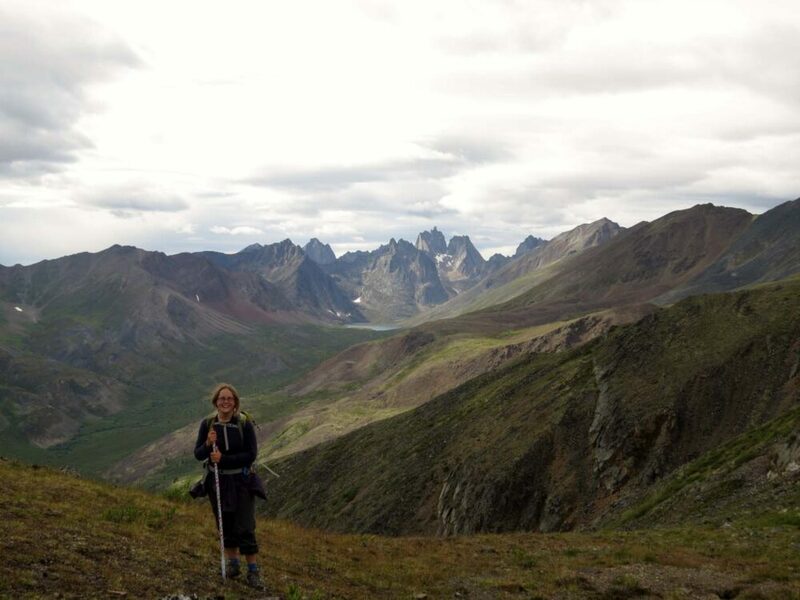 Most of the Grizzly Lake hike takes place on or around the side of a mountainous ridge above the Grizzly Valley. This is no doubt an incredibly beautiful place to be, but hikers should be aware that it involves some hard work getting up there. 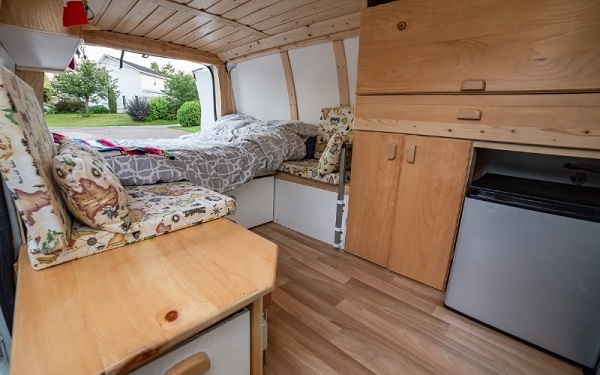 Once you’re up, you’re mostly up for the long haul until a few kilometres near the end when you head down to the valley’s campground. On the day we were hiking there were exceptionally strong winds blowing in from the Arctic, which meant we absolutely froze everytime we were in an exposed position. Every time this happened, I almost wanted to be gaining elevation again since it was a whole lot warmer! 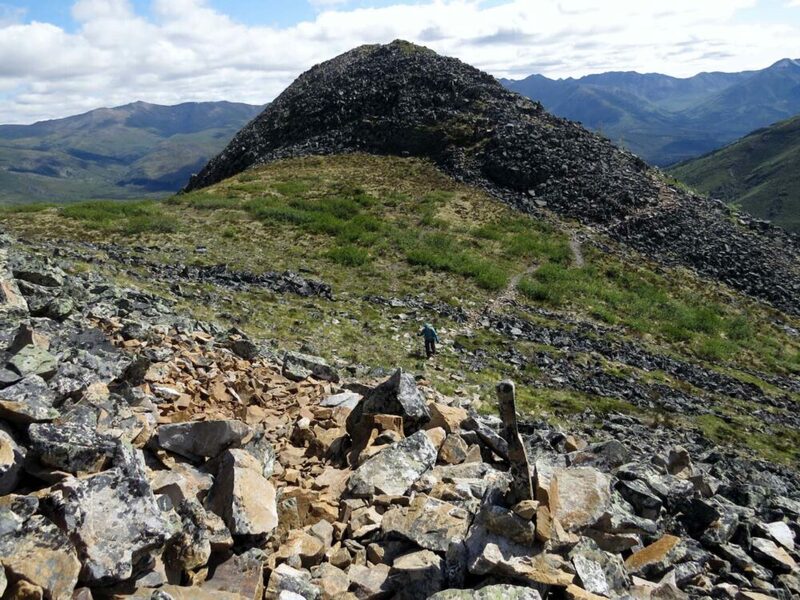 Hiking the ridge also involves a lot of traversing on, around and over rocks of all shapes and sizes. I’m not a huge fan of rocks. But what I am a huge fan of is the spectacular views from the Grizzly Lake trail! And, oh my, everything looked pretty darn wonderful from up there. The glistening blue lake framed by almost dangerously jagged mountains is truly a sight to be seen. 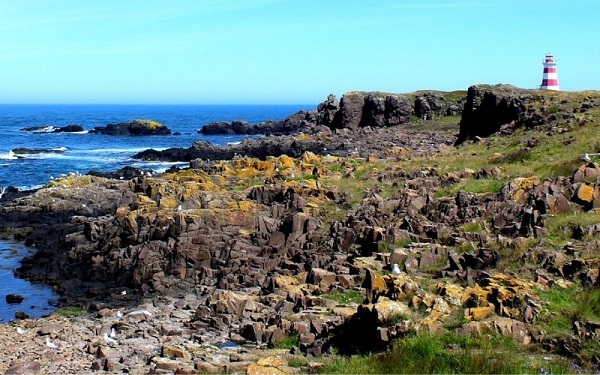 The best views are seen around 4km in. At this point, if we had turned around and treated it as a day hike, we would still have felt accomplished and extremely happy with what we had done and seen. But we wanted to go all the way, especially as the weather (wind aside) had really come out for us. We met a lot of people coming from the other direction who had hiked the day before through heavy rain. Those rocks I just mentioned were apparently very very slippery the day before. My second favourite part of the hike (the views of course top everything) was seeing marmots in the aptly named marmot meadows section. And not just one, we saw a whole bunch. 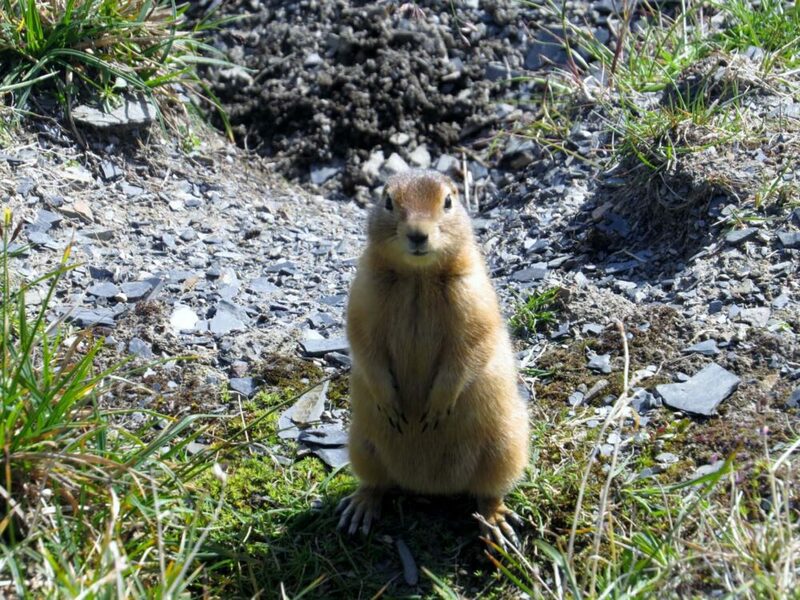 They are such beautiful creatures and we were so pleased to see and hang out with them for a while, as well as some pretty cheeky ground squirrels. We finally made it to Grizzly Lake Campground at 9.30pm after a total of 7 and half hours on the trail (the estimate is 6-9 hours). Everyone in the campground was French, which was especially fun for Jean Robert. I was proud to have made it, especially after we spoke to everyone else who agreed that it was a hard 11km, even the Tombstone Ranger who hikes (or practically runs it) it in 2.5 hours! Sadly, there is just one downer concerning the lake. The campground felt extremely claustrophobic. 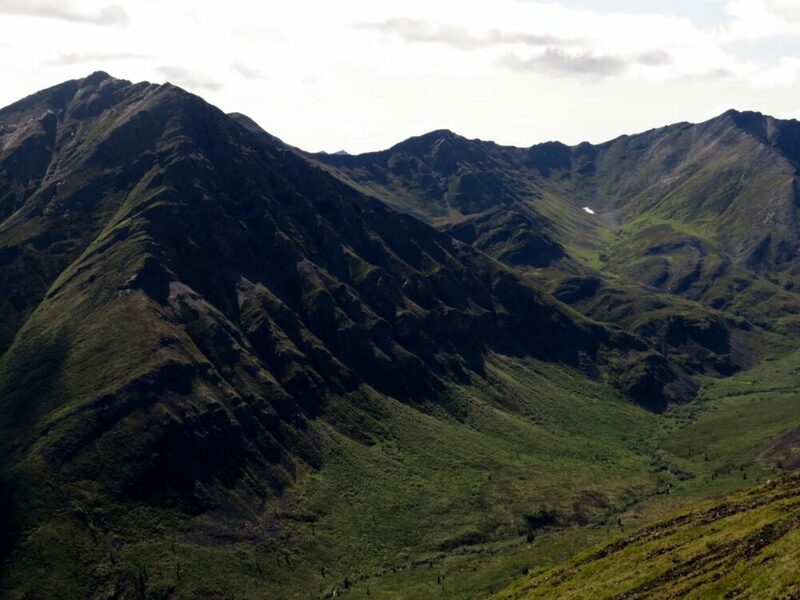 The movement of hikers is severely restricted by fence-lined pathways to protect the tundra. We had hiked towards this stunning lake and surrounding mountains for hours, only to reach it and feel disappointed that we couldn’t really see or explore the area properly. I totally understand why the restrictions have to be this way but it felt so anti-climatic for us. One of the other considerations is that we had just finished an amazing off-trail hike to Rake Mountain the day before. We had experienced the freedom of hiking anywhere we chose and spent the night in the wilderness with no-one else in sight for miles. It was such a stark difference to reaching Grizzly Lake. There are hikes onward to other lakes from the Grizzly campground, so maybe going further would be better (around 30% of the hikers staying at Grizzly Lake that night continued on the next day, as we had originally planned to do). We were the last hikers to leave the campground in the morning, having been quickly ushered away from the cooking area while we were making breakfast by the Ranger. At first, I thought a Grizzly bear had been spotted. 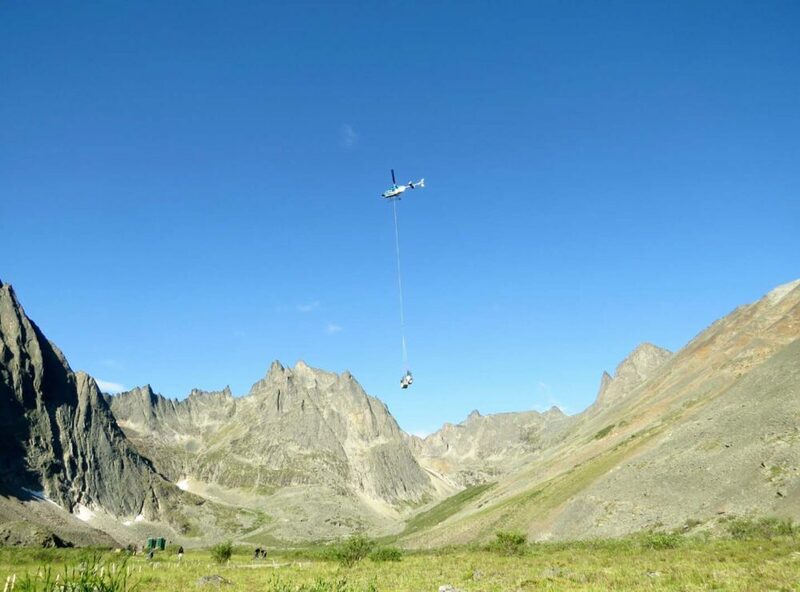 The truth was less exciting but still pretty cool; a helicopter was landing to swap out the waste barrels (outhouses and greywater) and drop building materials for a new outhouse. Despite some negatives(and lots and lots of rocks), I would absolutely recommend this hike to others. 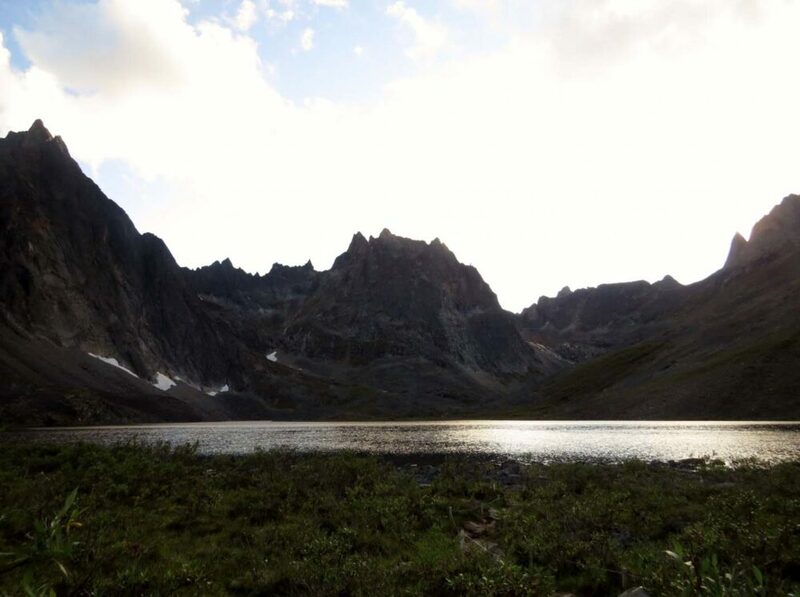 The views of Mount Monolith and the other jagged peaks behind Grizzly Lake are amazing. Really, really amazing. They live up to the brochures and more. It is definitely worth going for a 5/6 hour day hike to see the views from the ridge – in fact, that is my main recommendation here. 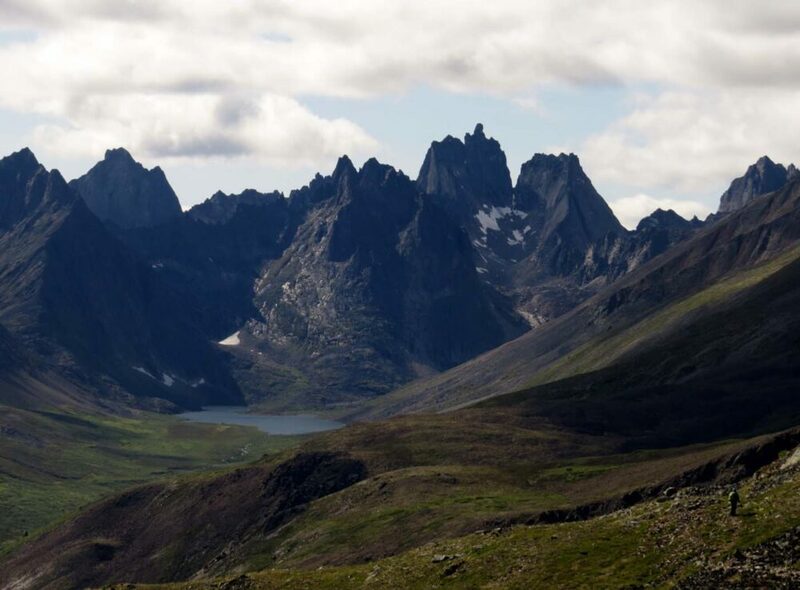 If, like me, you want to see the famous mountains of Tombstone Park but do not have overnight equipment or a lot of time, then go for a 5/6 hour hike on the Grizzly Lake Trail. You will probably be pretty tired around 90 mins in, but keep going! You won’t regret it. 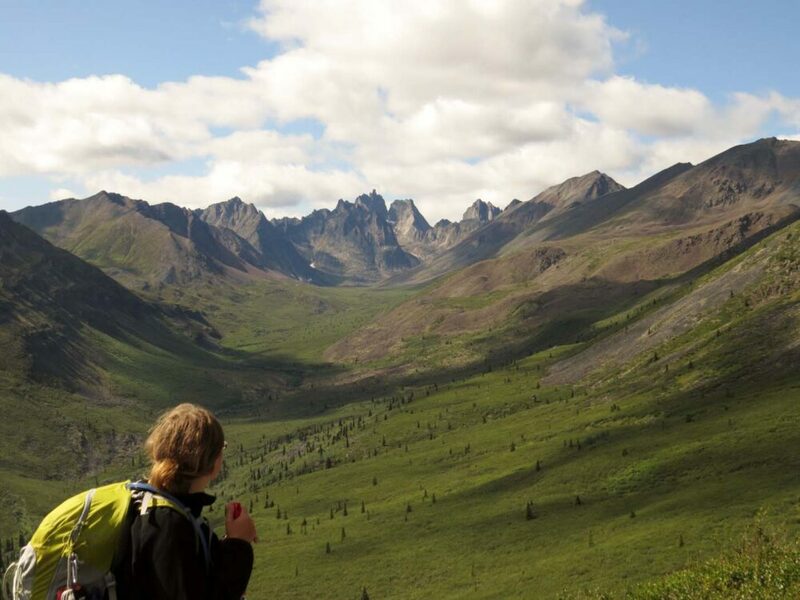 Tombstone Territorial Park is a large protected wilderness area in northern Yukon, around an hour and a half away from Dawson City (pop. 1,300). 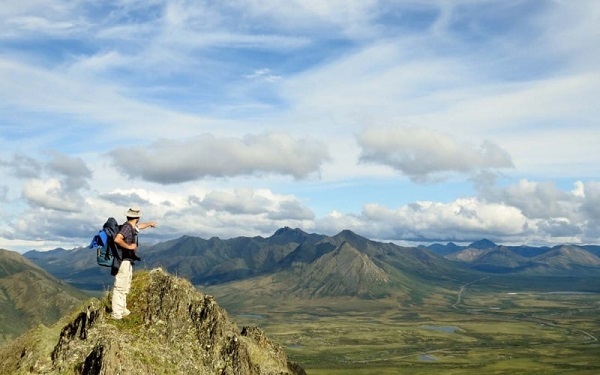 The park is accessible from the Dempster Highway, the 737km dirt road to Inuvik (NWT) and the Arctic Circle. The road intersects Tombstone at around 50km in, with the Interpretive Centre located a bit later at 71km. 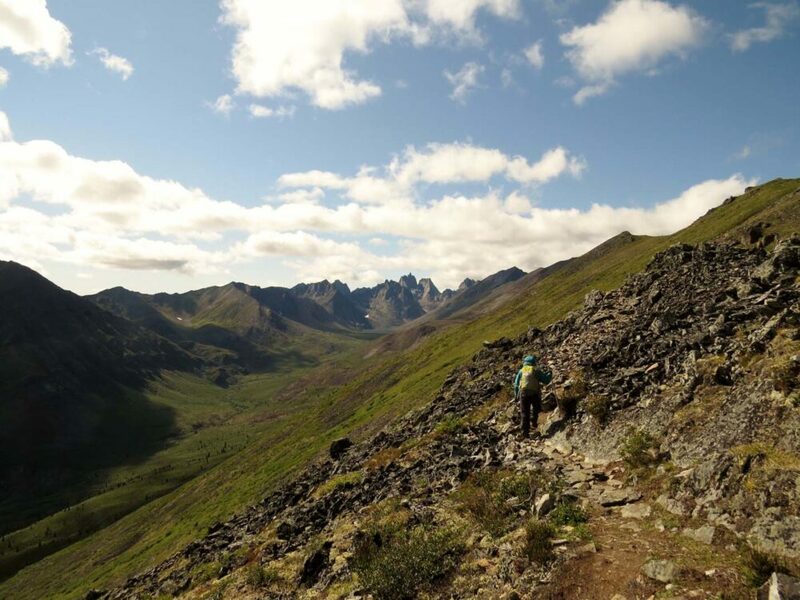 The Grizzly Lake trail is the only backcountry trail in Tombstone Territorial Park. 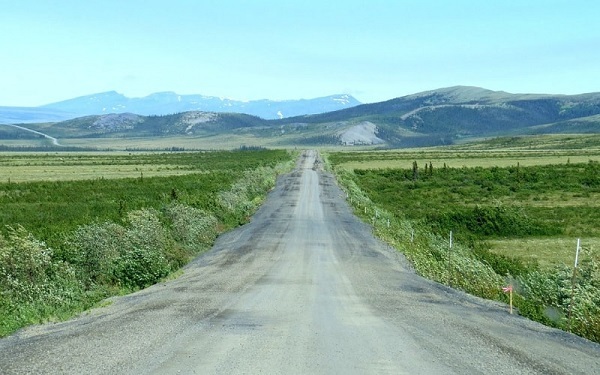 It is a 23km return trip from the Grizzly Lake trailhead. 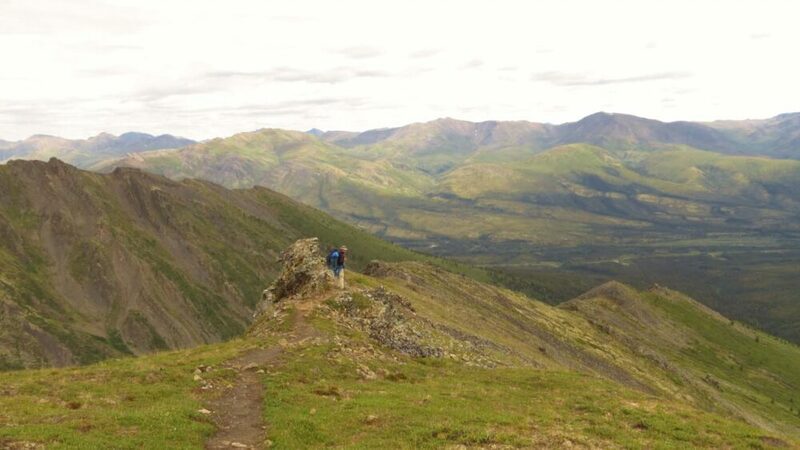 It is considered a difficult hike, a rating I would agree with. No technical skills are needed but reasonable fitness and appropriate equipment are essential. 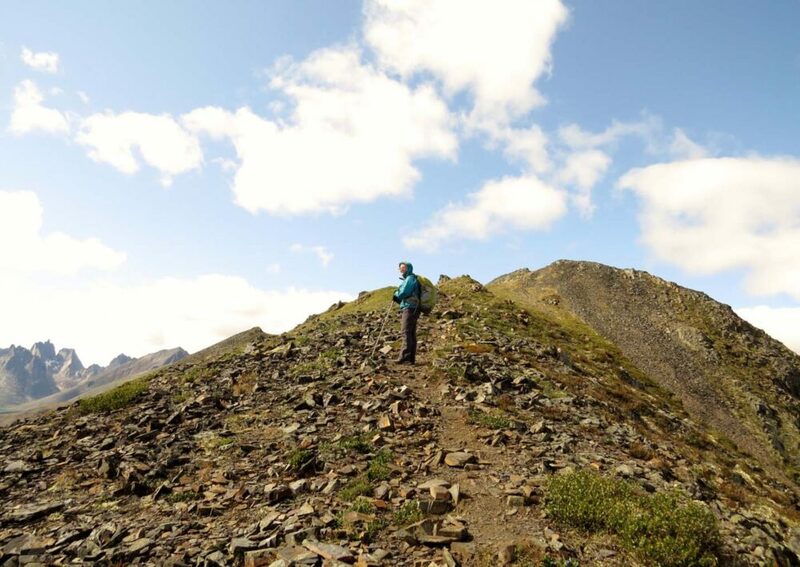 Hikers can continue beyond Grizzly Lake to Divide and Talus Lakes, but the trail becomes more of a route and is more difficult to follow. 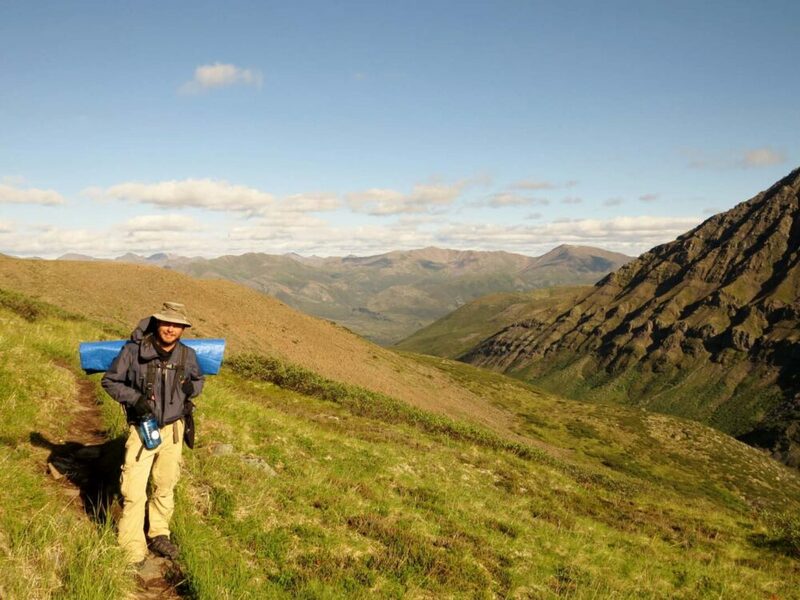 There are backcountry campsites at both Divide Lake and Talus Lake. 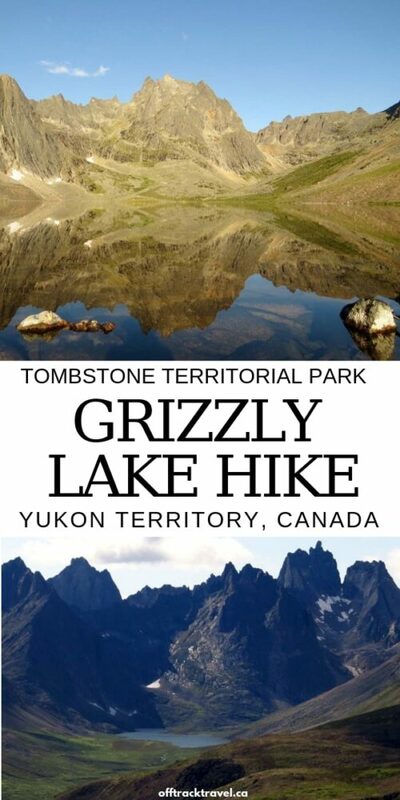 The Grizzly Lake trail is generally open from late June to mid-September. It may be open earlier or later than this guideline dependent on weather conditions and/or wildlife factors. The backcountry campsite at Grizzly Lake has 10 tent pads, two outhouses, two shared cooking platforms/shelters, bear cache and grey water disposal. Cooking water, dishwater and used toothpaste should all be put into the grey water disposal barrel. It is mandatory for hikers to use a bearproof canister for food storage. These can be rented for $60 refundable fee at the interpretive centre. Only one tent may be set up on each tent pad, with a maximum of three people allowed in individual tents. Dogs are permitted but must be on a leash at all times. Please respect this as it is so important for the safety of the wildlife on the trail. 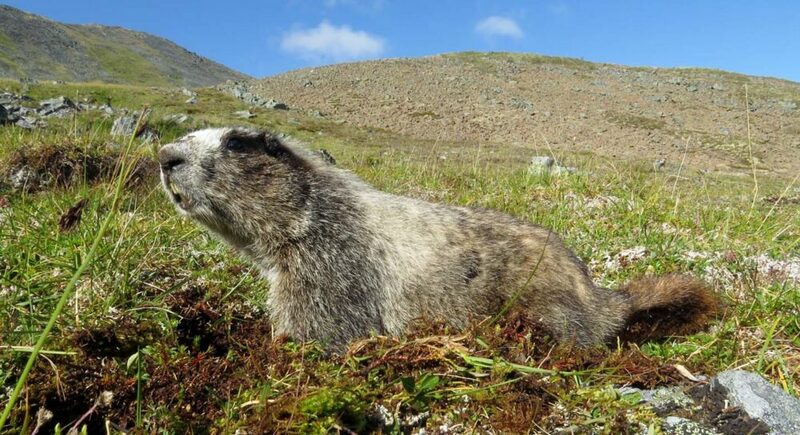 The marmots, for example, have a very limited period to eat enough for survival. 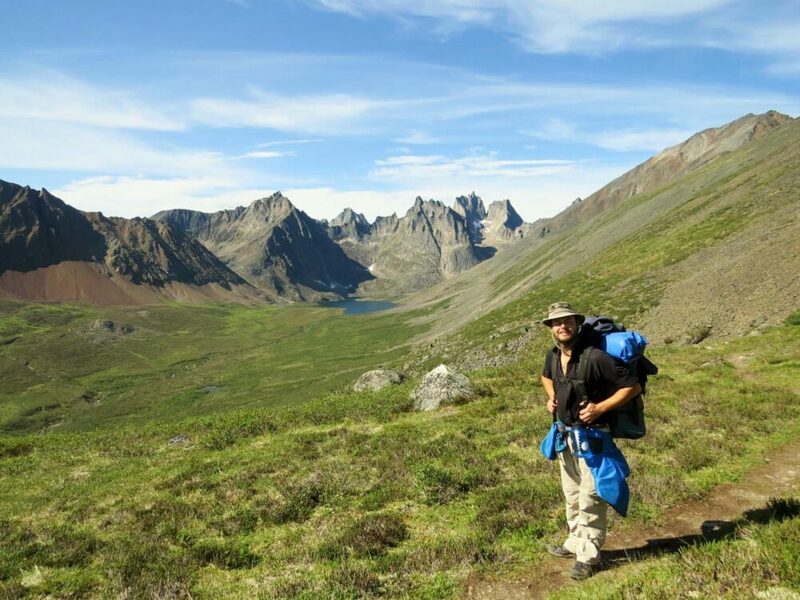 Route finding skills are required if hiking past Grizzly Lake to Divide and Talus lakes. 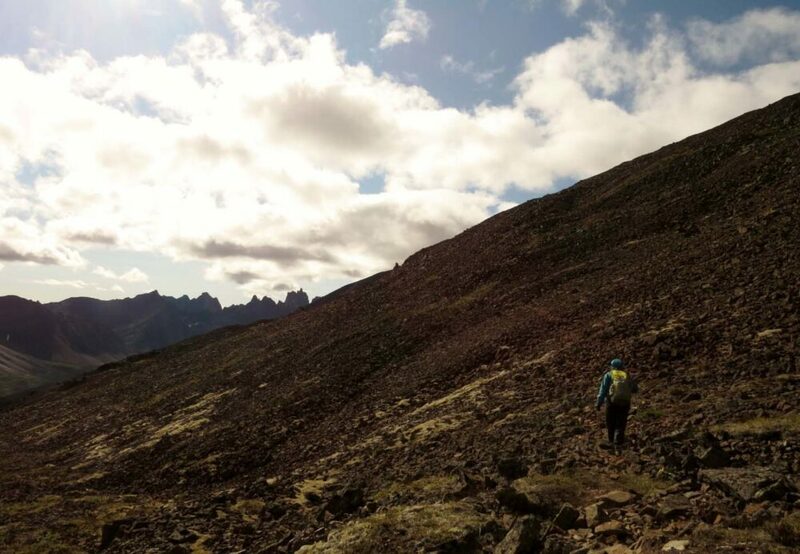 There are no park use fees for Tombstone Territorial Park, nor any trail or parking fees required when hiking the Grizzly Lake Trail. There is, however, overnight camping fees of $12/night per site. With a limited number of tent pads at Grizzly Lake, so a valid permit is required to camp. 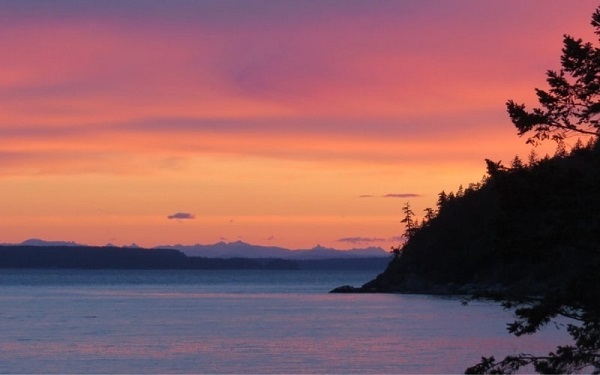 Camping reservations are recommended to ensure a space, especially on weekends. During our mid-week visit in July, all but one tent pad was occupied. 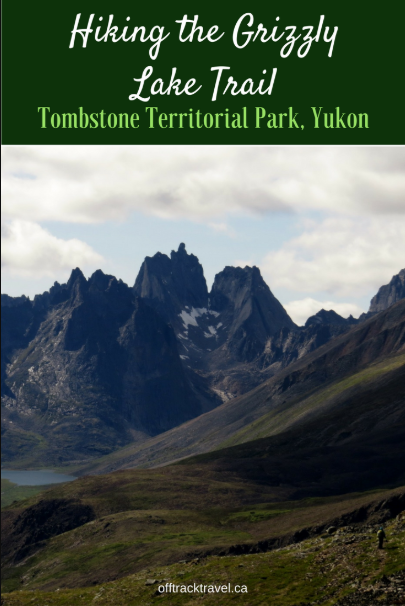 Prior registration at Tombstone’s interpretive centre is mandatory for any backcountry travel, including on the Grizzly Lake trail. Hikers also have to attend an orientation session before setting out. Plenty of mosquito repellent. The bugs in this part of the world are ferocious. You will not want to be without strong bug spray, trust me! Sturdy hiking boots. 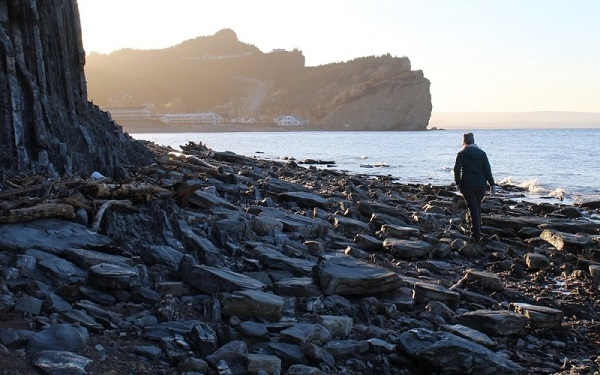 As mentioned, this is a difficult trail, with talus, shale and other rocks to ascend and descend. I swear by the Oboz range of hikers, for day hikers as well as backcountry treks. The Bridger’s would be great for this hike. Hiking poles. Even just one will help when descending and ascending the mountains of Tombstone. We love Black Diamond’s Distance Z series. We did not both have hiking poles on this trail and dearly wished we had brought some! Your knees will thank you. Bear-proof food storage: It is mandatory to use a bearproof food canister on the Grizzly Lake Trail. We find Bear Vaults easy to use. It is also possible to rent a container from the interpretive centre. Air horn: As well as bear spray and a bear canister, we also brought along an air horn to potentially scare aggressive bears away. It also doubled up as a signalling device. Posts like this remind me why I am proud to be Canadian. There’s so much beauty! 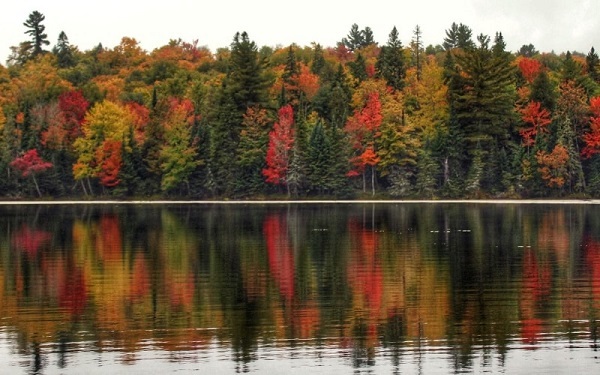 Great post and thanks for sharing! I really am grateful to be able to live here and call myself (almost) Canadian! Marmots are so adorable. I was hiking in Kokanee Glacier Provincial Park a few years back and had a friendly one follow us for quite some time down the trail! Wow, having a marmot following you must have been fun! A few hikes in Kokanee Glacier Park have caught my eye – do you have any recommendations? Marmots <3 I'd love to see them in the wild. How did you manage to get so close? Aren't they afraid of people? Wow, what a gorgeous place. I would love to see all of those views. Well worth all of the effort hiking it! 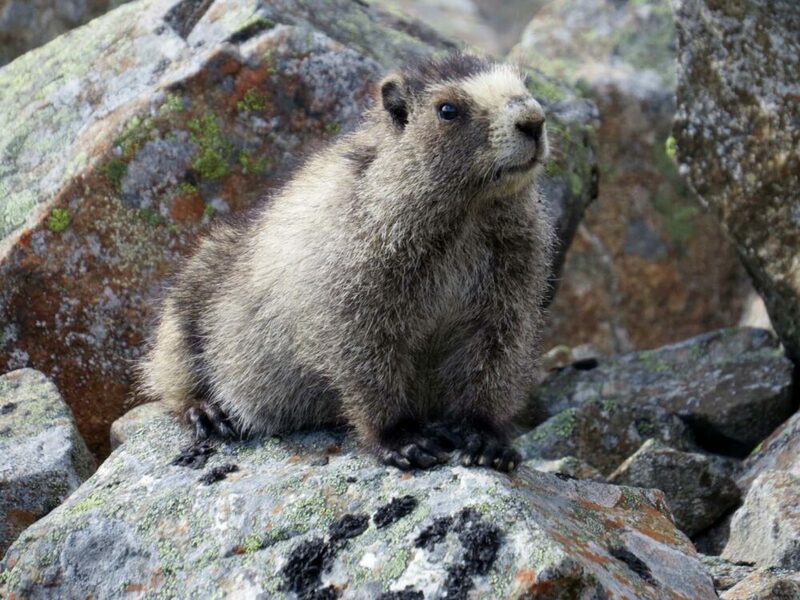 Also, those marmots are ADORABLE. Thanks for linking up with #WeekendWanderlust! Thanks Lauren! I couldn’t get enough of those marmots. Almost worth doing it all over again just to see them! Great experience! Grizzly lake campground has some camping sites but what to do if we have not a reservation? Thank you! 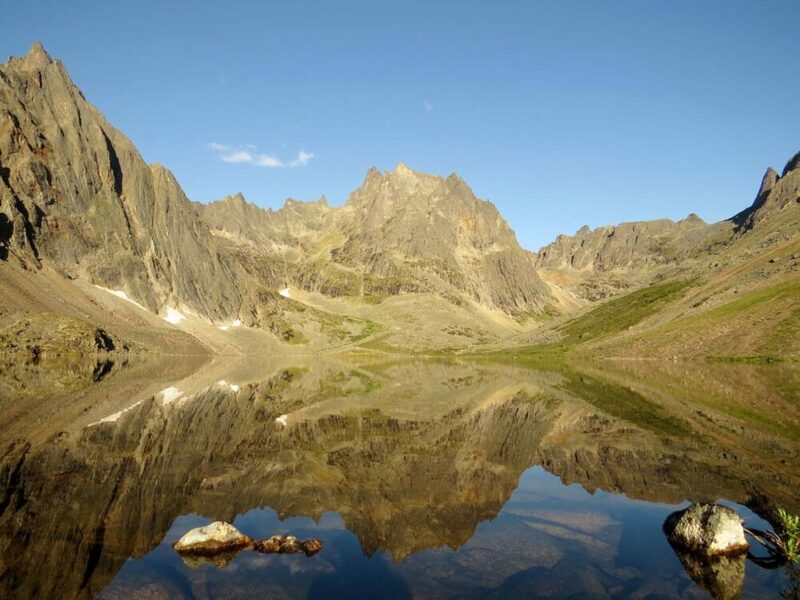 You must have a permit to camp at Grizzly Lake – there are only 10 spots. Since there are such a limited number of permits available every day, your best chance to get one is by reservation. If you do not have a reservation, you can check at the Tombstone Interpretive Centre. Anyone who reserves a campsite but does not pick up their permit by 1pm is considered a no-show and their permit will be reallocated.